New fashion season. New fresh magazine cover. 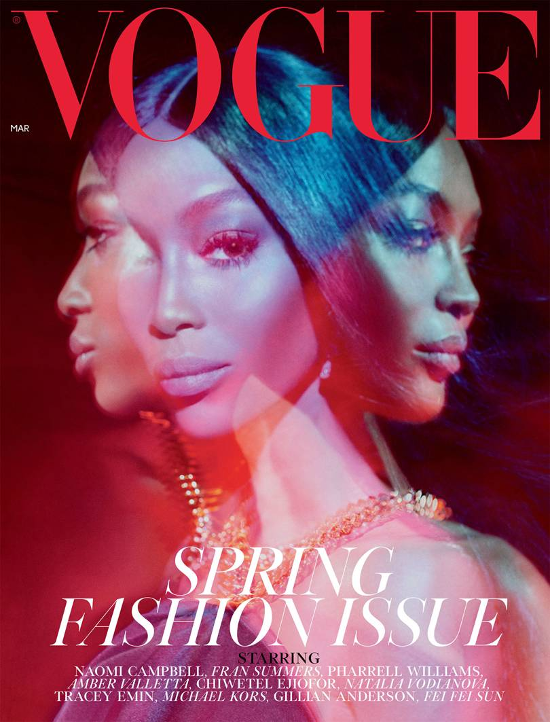 Naomi Campbell graces the cover of British VOGUE's highly anticipated March issue, also dubbed the Spring Fashion Issue. It's the magazine's 2nd biggest issue behind the coveted September Issue. And it's the first time Naomi has graced the magazine since her good friend/Edward Enniful took the editor-in-chief position in 2017. It’s no secret that Naomi and I go back more than half of our lifetimes. We first met on a shoot for i-D in Paris in the early 1990s on a day I will never forget. I can recall her walking into the studio like it was last week. In an Anna Sui dress, with her Whitney Houston curls, there she was – the most beautiful woman in the world. I was a young fashion director and Naomi was already famous well beyond the industry, but we bonded on sight. After the shoot wrapped, she invited me to jump on a private plane to Dublin with her – I was due back in London and had only £10 in my pocket – but that’s just the way it is with Naomi. A quarter of a century later and she hasn’t changed. You never know where you’re going to end up. For the cover and shoot, Enniful nabs famed photographer Steven Meisel because, history. "They [Naomi and Steve] know each other so well that they don’t really need words." Beauty guru Pat McGrath was brought in to do makeup to help create an homage to Naomi’s world. "I hope you enjoy the result. It is the story of a real woman – and a genuine icon," Enniful shares. 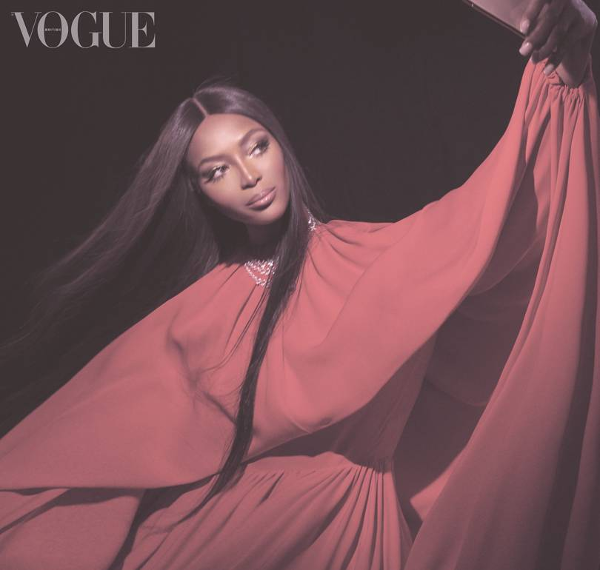 British Vogue’s Spring Fashion Issue hits newsstands February 1st. The super model will lend her fashion expertise to the 2019 LVMH Prize, where she will be one of several experts assessing who’s got next in fashion (previously won by Virgil Abloh). Naomi Campbell made an unexpected appearance on the catwalk in Paris for Valentino's Spring 2019 haute couture show. 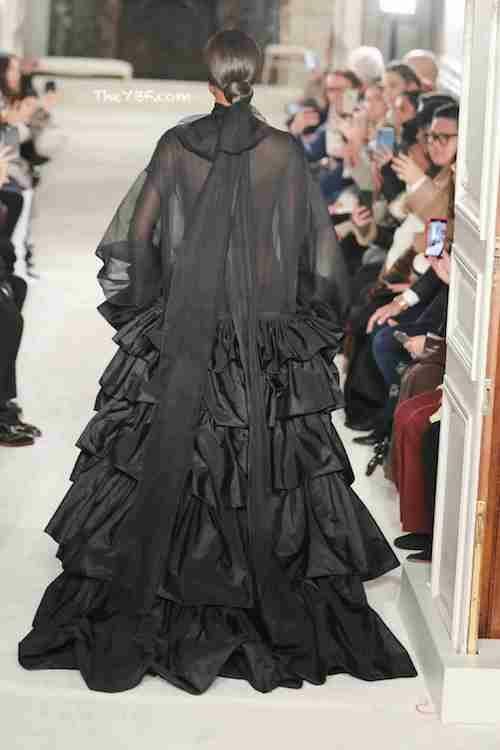 The 48-year-old runway stunna dominated the catwalk in a Pierpaolo Piccioli-designed sheer black gown with a tiered ruffle skirt.